American military doctors are blaming vaping for the hospitalisation of dozens of soldiers, despite there being no evidence the alarming symptoms are caused by e-cigarettes; meanwhile the real culprit is right under their noses. Opposition to Australia’s strict anti-vaping laws continues to grow, with a senator giving support to a pro-vaping campaign. A new study by a British university has found that the advice given by vape shops can play an important role in helping smokers quit, and supporting them in staying smoke-free. Staff at the medical centre at Fort Bragg, one of the US Army’s largest military bases, claim dozens of soldiers have suffered serious health problems because of vaping. The “potentially life-threatening” symptoms, which so far have not been observed anywhere in the world except at Bragg’s Womack Medical Center and at the US Marine Corps’ Camp Lejeune, include loss of consciousness and uncontrollable seizures. In fact, although statements by officers at Womack skirt around it, the problems seem to be caused by synthetic cannabinoids – recreational drugs which are forbidden by US military regulations – and have nothing to do with vaping at all. Synthetic cannabinoids are dangerous, but their effects are down to their chemistry, not how they’re delivered. Unfortunately it sounds as if the staff at Fort Bragg are blaming the wrong thing. According to Lt Col Pamela DiPatrizio, the chief nursing officer at Womack, they didn’t “pick up on the vaping” until they “stated asking the right questions”. This, and other comments from staff at Bragg and Lejeune, suggests an obsession with the idea that vaping is harmful. The medical centre claims that the army’s Criminal Investigation Command has launched an investigation into vaping products. The tragedy of this isn’t just that vapour products are being unjustly accused; it’s that the real problem – synthetic cannabinoids – is being brushed under the carpet. The official battle bus of Australia’s Legalise Vaping campaign visited the country’s parliament on Wednesday – and a pro-liberty legislator volunteered to take it for a spin round the building’s perimeter. Cross-bench senator Cory Bernardi took control of the camper, which is covered in prominent pro-vaping slogans, and went for a drive around the area. The gesture was another sign of the growing opposition to Australia’s hard-line approach to vaping. Legalise Vaping was set up by MyChoice Australia and the Australian Taxpayers’ Alliance to promote a more sensible approach to harm reduction. Vape Force One, crowdfunded by vapers, is currently touring thirty locations in New South Wales and Queensland as well as the Australian Capital Territory. A new study, funded by Cancer Research UK and carried out by the University of East Anglia, has found that vape shops are providing behavioural support to smokers than could help them quit and avoid relapse. One conclusion the study authors reached was that the National Health Service should work together with vape shops. NHS stop smoking services have seen shrinking numbers in the last few years as smokers turn to vaping, which makes them feel empowered and independent rather than as sick addicts. In the latest attack on US vapers, Washington State is proposing a 60% wholesale tax on all vapour products – larger than the 40% tax that devastated Pennsylvania’s retail sector in 2016. 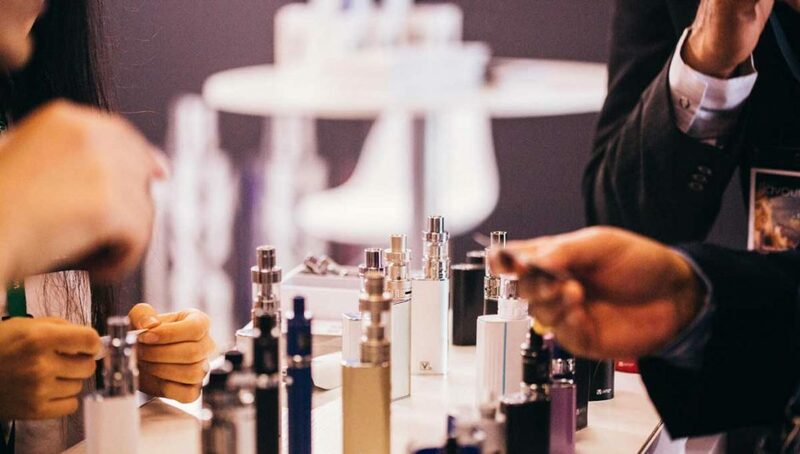 Consumer Advocates for Smokefree Alternatives Association believe that the Washington tax would wipe out most of the state’s vaping industry, including the majority of shops and vape juice manufacturers. In an unusual fit of honesty, the authors of HB 2165 admit they’re aiming to use the tax to replace declining taxes on cigarettes. Tobacco revenue is expected to fall even further when the smoking age is raised to 21, another plan currently going through the state legislature.